Jump right into spring with this filigree ring! 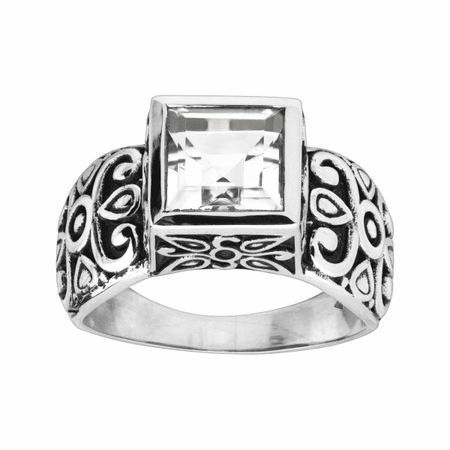 Swirling designs on either side of a central white quartz make this sterling silver ring shine. Ring face measures 3/8 inches in width. Piece comes with a “.925” sterling silver quality stamp as a symbol of guaranteed product quality.